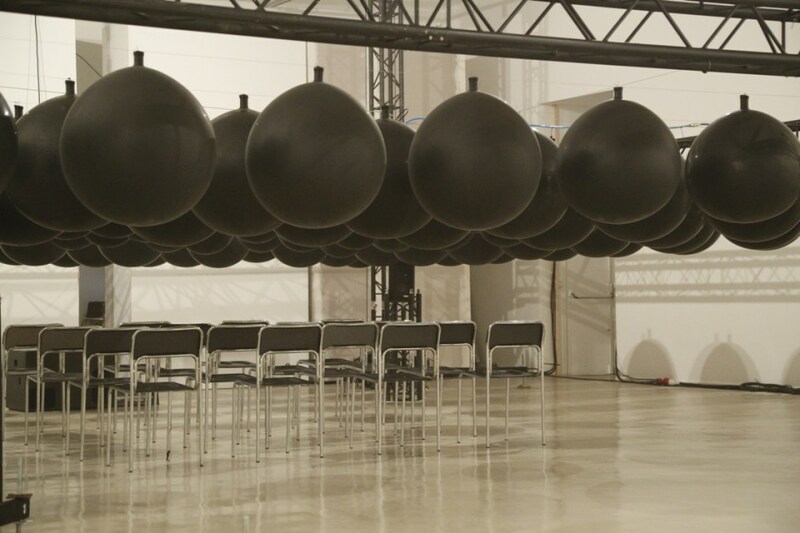 Neunundneunzig (99) is a kinetic sound sculpture by Martin Bricelj Baraga and Olaf Bender (Raster­noton). 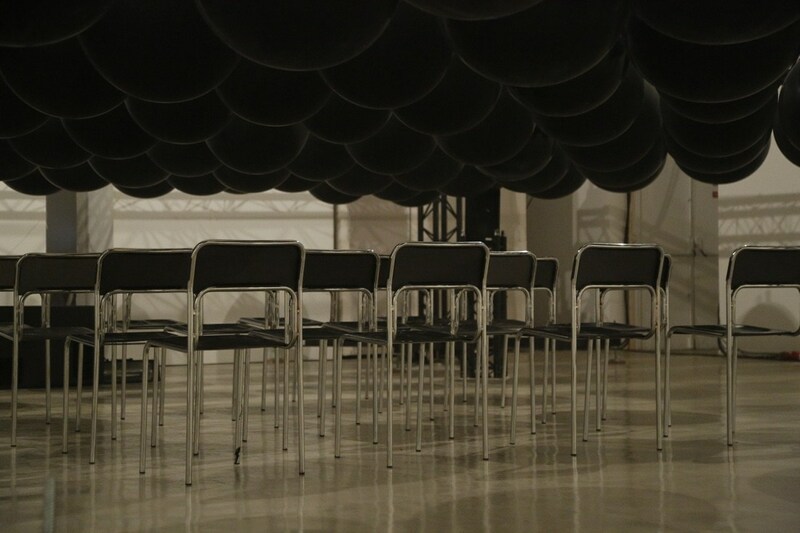 It is comprised of a matrix of 99 balloons composing an immersive yet intimate performance. 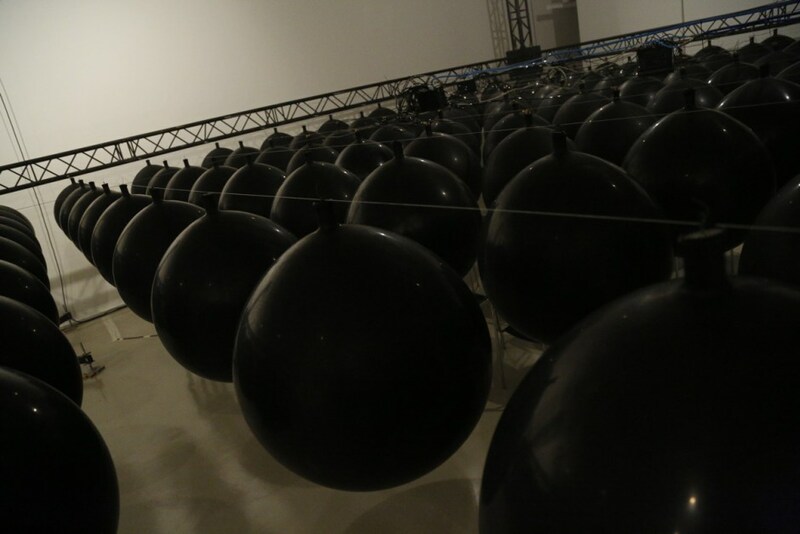 While being inflated, the balloons surround visitors to create an intense physical, sonic, and visual experience. 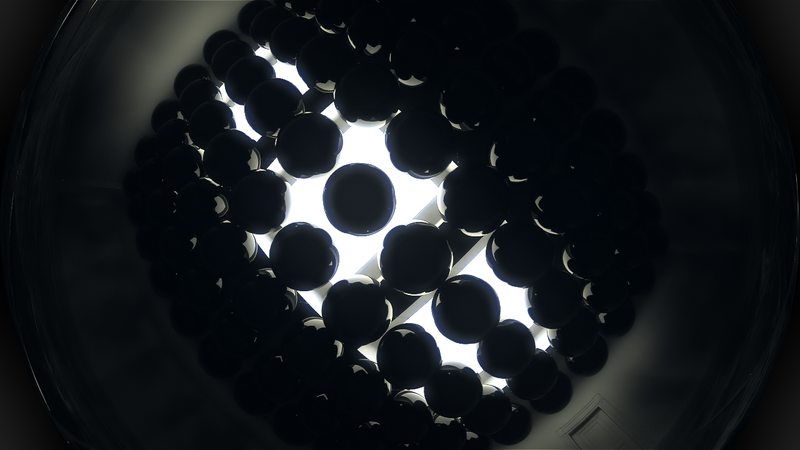 It is a dark field of intensities where sound, light, and objects are inhaling, exhaling, and pulsating in a space that is shrinking and extending, thus creating a highly intensive, even claustrophobic psycho­physical and socio­spatial experience that mirrors the current conditions of our society. Inspired by “99 Luftballons”, an anti­nuclear protest song by the German band Nena, where guitarist Carlo Karges watched the release of balloons at the Rolling Stones Concert in West Berlin, June 1982. As they drifted toward the horizon, they shifted and changed shape. He thought about what might happen if they floated over the wall into East Berlin. Both coming from ex­-communist countries, Baraga and Bender are working on a series of immersive experiences and installation works joined by their common interest in minimalist aesthetics and use of technology in sculpture. Neunundneunzig (99) is a space where both artists share their experience of political transition from one system to another and through it, release all the hidden forces and oppressions of modern times.